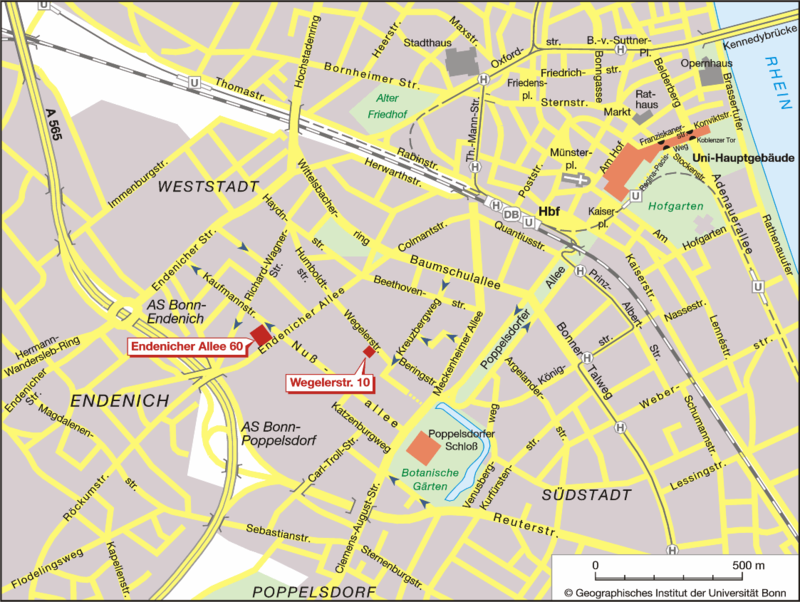 Bus stop: The bus stop Kaufmannstraße is located right in front of the Mathematik-Zentrum, Endenicher Allee 60. Lines 604, 605, 606, 607 (from and to the main train station Bonn Hbf. ), line 631 and night bus line N2 (after midnight) stop here. These pages were generated by Support. Our Data Privacy Statement is to be found here.